2,There are 3 kinds of Propellers will be shipped out by Factory in random. If you have special request about the Propellers, Please remember to leave message to us, Otherwise we will randomly. There are 3 Versions are optional, Standard Version, Black Version, White Version. 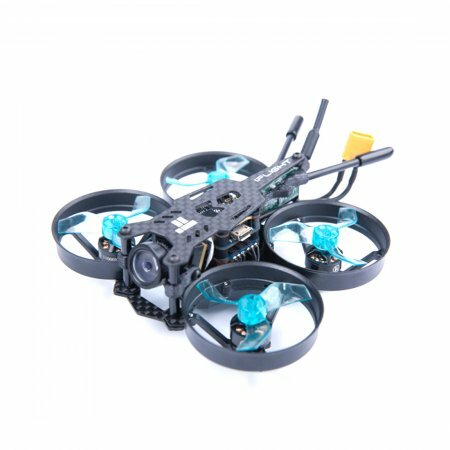 The difference is only the Color of the Frame Kit. The iFlight Bee CineBee 75HD is a new generation of indoor HD card recording machine that has been built in six months. Its appearance has set a new benchmark for the indoor HD solution! 1, set "small" into: Bee CeeBee 75HD equipped with the wing of the new SucceX mirco F4 fly tower program (16mm * 16mm pitch), so that the wheelbase can be controlled at 75mm! The flying tower ensures that the USB adapter is in a very comfortable position, and there is no trouble in adjusting the cable. 2, the craftsman "core" single transport: all along, the simultaneous installation of the card recording equipment and the protective cover are accompanied by various embarrassing phenomena, including the card is not easy to take or even can not take the card, or the card is placed on the top of the tower to cause flight control The adjustment hole is in a difficult position to be inserted. 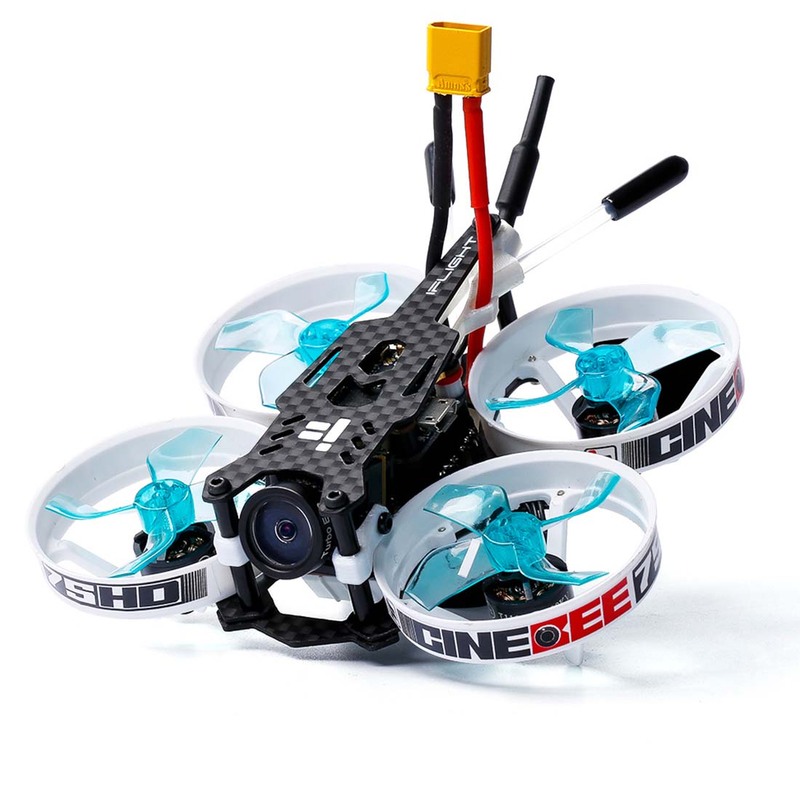 The bee CineBee 75HD solves this problem by placing the card recording device on the bottom of the aircraft and equipped with a special protective cover to protect it. 3, "Bee" Mang must "record": The power matching of the bee CineBee 75HD was also selected by the engineers for a long time test. 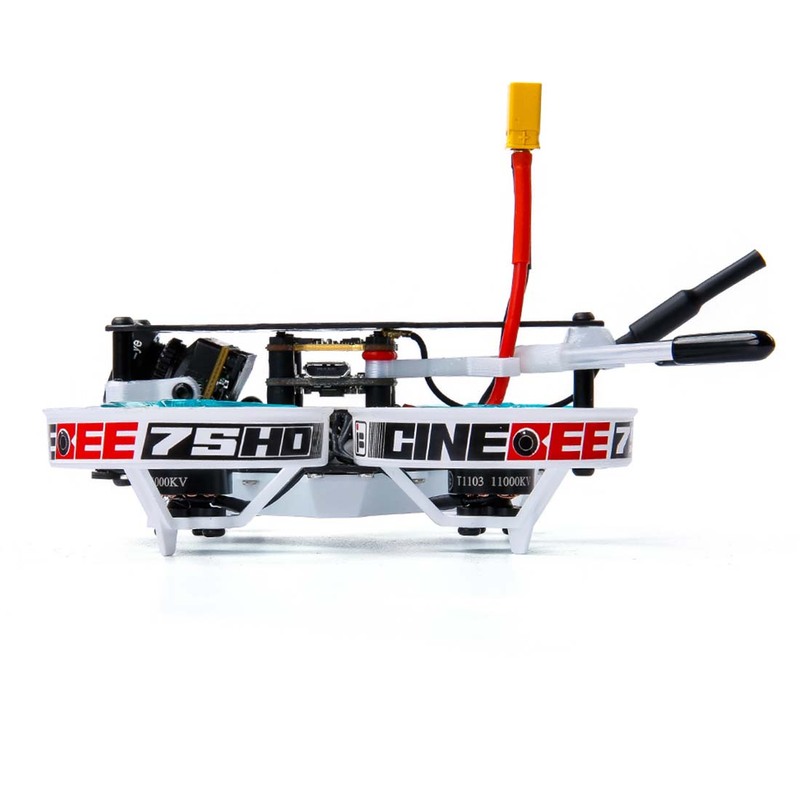 This power system makes the bee CineBee 75HD have ample enough while ensuring the comfort of the hand. Endurance performance. 4, the details are touching: Bee CineBee 75HD has a lot of people to talk about the details of the design, whether it is the bottom of the card cover protective cover, or the pitch adapter for the fly tower, and then to the professional 3D printed antenna mount, The little hearts that make you nowhere are the most comfortable soothing! 5, the price of the people: Even if the collection of many advantages in one, the bee CineBee 75HD still has an unusual price! 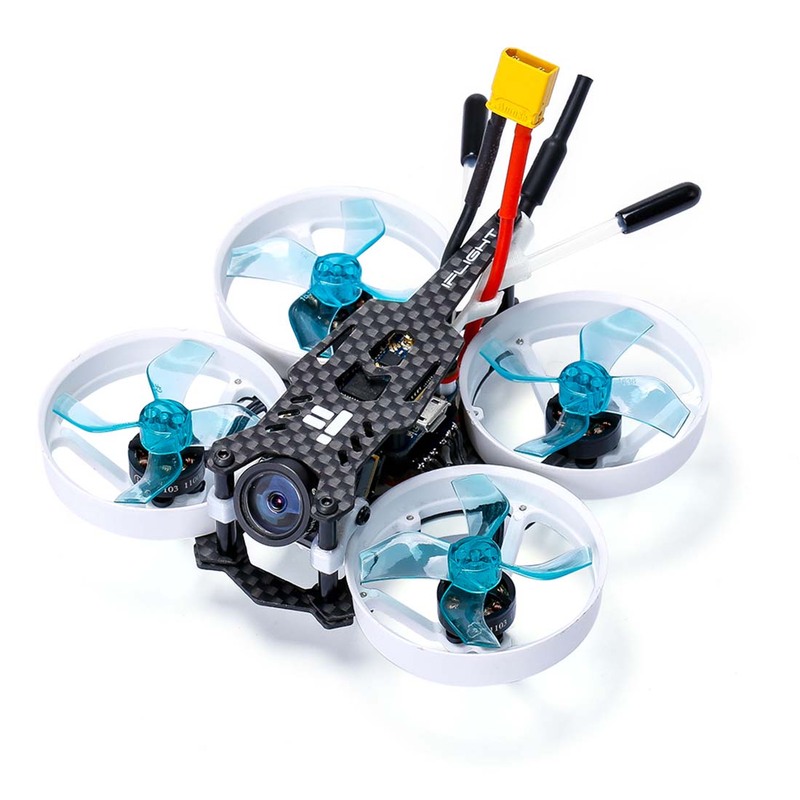 Nothing else, just hope that more users will experience the fun of FPV! -To insert or eject the card, please push in the and gently slide beside the security plastic guard. 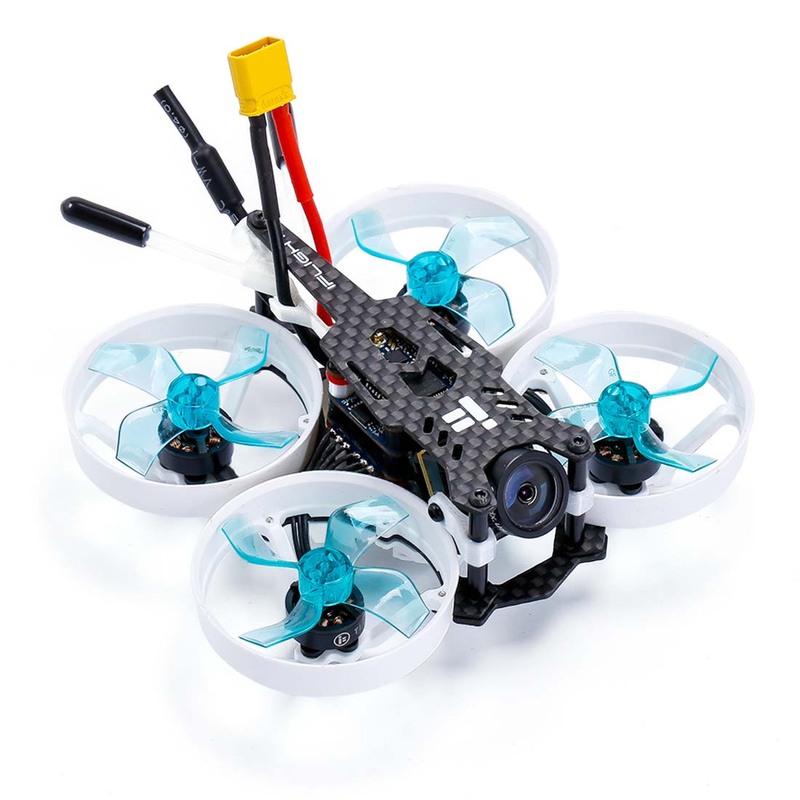 -Both Cam and VTX can be conveniently setup on your radio and in your OSD. 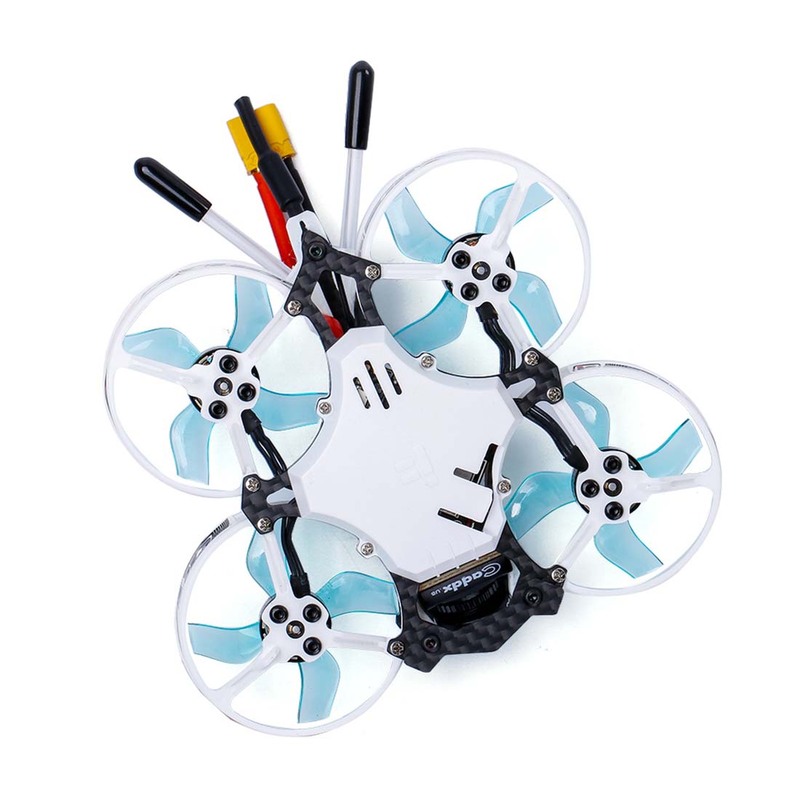 iFlight Force Mini VT5804 OSD FPV..
iFlight Archer X5 5 inch FPV..
10PCS iFlight M3 Damping Ball For..
iFlight 1103 11000KV 2S Micro..
iFlight XL7 V3 True X 7 inch 294mm..
iFlight M5.5 M8 M10 Quick Release..
iFlight CineBee 75HD Indoor FPV..
iFlight T Type 5.8G Antenna SMA..
High Power iFlight XING Camo 2208..
IFlight XING CAMO 2306 2450KV..
iFlight SucceX 5.8G 48CH 500mW..
iFlight 36x36mm SucceX PDB 2-8S..
10 pairs iFlight Nazgul T3061 3061..
iFlight Nazgul T3061 3061 3inch..
iFlight XL5 V3 240mm FPV Freestyle..
iFlight XING Camo 2207 2450KV..
iFlight XL5.5 Lowrider V3 FPV..
iFlight Strider X5 V2 230MM..
iFlight Vertigo VX5 V2 200mm..
IFlight Tachyon T1104 9500KV 2S..
iFlight HL7 V2 296mm 7 Inch Long..
IFlight Xing X2306 2450KV 2750KV..